Frugalwoods turns one year old tomorrow! A year ago, Mr. Frugalwoods and I sat in a coffee shop and simultaneously launched our plan to retire at 33 to a homestead in the woods and the concept of Frugalwoods. Mr. FW was after me to start a blog and I’d dismissed the idea for months (years actually). My arguments against it were plenty: I didn’t know enough about any one topic to write a blog, I didn’t have the time, where would I get photos?, also how do you even set-up a blog? is it like a regular website?, plus I didn’t have a name! But my crafty husband–who often knows me better than I know myself–had already solved these quandaries. Unbeknownst to me, he’d purchased Frugalwoods and set up the back-end. And, he knew what I should write about: frugal weirdos at their finest. I couldn’t deny that I knew a lot about imperfect frugality, weird hacks to save money, and have the ability to go inordinately long stretches without buying stuff. But, “Frugalwoods”? I’ll be honest with you–I thought that was the dumbest name I’d ever heard. I countered to Mr. FW that no one would know what it means, that it isn’t a real word, and that it sounds like some sort of cheapskate lumberjack convention (which he said he’d probably enjoy attending). He persisted and showed me the spreadsheet he’d created of different name options (of course he had a spreadsheet; I wasn’t even surprised). Then, he made the point that always wins me over: the website was cheap at a mere $6. In other words, no one else wanted it. Immediately, my heart went out to poor, unloved frugalwoods.com and I knew it would become my manifesto. It took me a few months to truly embrace the name, but now I can’t imagine it any other way. Ok, ok, the name has grown on me and I even got us business cards! I started publishing posts to a readership of 3 (me, Mr. Frugalwoods, and my mom). But I was undeterred. I was having so much fun writing about extreme frugality that I didn’t care. I was so exuberant in fact, that I published 2 posts on the first day. Clearly, I was a bit overenthusiastic. Soon, our readership grew to 6–my parents, Mr. FW’s parents and ourselves! I’m grateful to Mr. FW for pushing me into this. He knew I’d love it and he was willing to go out on a limb to motivate me to start. He’d already spent the $6 after all and he knew I wouldn’t want it to go to waste! It has been incredibly humbling to watch our readership soar over this past year. I’m honestly kinda stunned at how many people want to read about this journey to simplified, frugal, meaningful living that we’re on. Plus hounds! Can’t forget the hounds! The way in which Mr. FW and I structure our lives is unusual, but remarkably rewarding. Finding a purpose deeper than simply spending money and consuming pop culture has made us happier, more peace-filled people and has strengthened our marriage in unexpected ways. Sharing these experiences with all of you is one of my favorite things and I deeply appreciate all of your comments, emails, and feedback. To everyone reading this who is the most frugal person they know, who plans to retire early, who plans to live an intentional life without debt or overconsumption, and who plans to find your true purpose outside of making money–you are not alone! Here, you are among your people. In reflecting on this past year, Mr. Frugalwoods and I want to share some of our favorite frugal moments. 1) Flat tires really can become stuck to the wheel rim and require professional intervention. 2) It is possible not to eat out for an entire year. Excluding vacations, we’ve only eaten out once in the past year (it was for Mr. FW’s birthday and it was actually take-out). I protest you laughing at my expense. 4) Life is better when you don’t care what other people think. Embracing an attitude of living our lives for ourselves has been liberating. Are you kidding me with the boots? Uber Frugal Month: Challenge Yourself. This is the absolute first post I wrote and it’s all about how to structure your life in the most ridiculously frugal (and awesome) way possible. The Privilege Of Pursuing Financial Independence. One of the most difficult posts I’ve written–this delves into the idea that there’s privilege inherent in our quest for financial independence and that the world is not an even economic playing field. What A Year Without Clothes Did For Me. A reflection on my ongoing challenge not to buy any clothing. I don’t mean not buying certain types of clothing–I literally mean every type of clothing (socks, underwear, work clothes, jewelry, shoes, etc). I’m 16 months in and still going strong. How Insourcing Strengthened Our Marriage. Mr. Frugalwoods and I are partners in every sense and we approach life collaboratively and share responsibilities equally. In addition to saving us money, insourcing teaches us new skills and increases our self-reliance. It’s this attitude of self-sufficiency that’ll serve us well on the homestead. The Frugal Homestead Series Part 1: Why The Woods? Above all, Frugalwoods is about what we want our frugality to accomplish–the “woods” part of our equation if you will. This post outlines the how and why of our homesteading dream. I’m looking forward to another year of learning and sharing with all of you and I hope you’ll join me, Mr. Frugalwoods, and Frugal Hound for the adventure. What would you enjoy reading on Frugalwoods in the coming year? 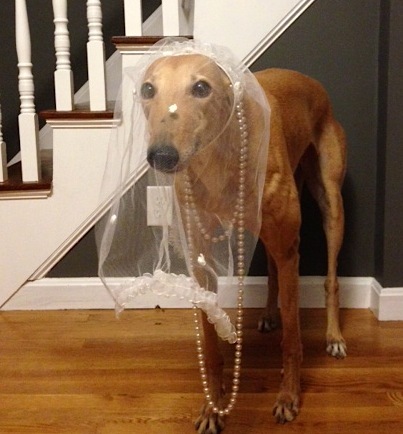 Happy blogiversary Mr and Mrs Frugalwoods and Frugal Hound!!!!!! I know I’ve said this to you before, but I remember when you first came on the scene and I just thought you were ridiculous and didn’t know whether to take you serious or not, but once I consistently started following you, I became inspired and moved by you. I am thankful that you joined the blogging scene to share your unique story and point of view. I am thankful that we are friends and I can’t wait to see what year 2 brings for the Frugalwoods Family!!! What an amazing year you’ve had – Happy Anniversary!!! I love the story of how you all got your name – and that Mr FW had a spreadsheet! That is awesome 🙂 Congrats on the 1 year anniversary! Oh yes, spreadsheets for everything around here :). Many thanks! Ditto! Happy Anniversary and best wishes for many more successful years. I like your name, it’s catchy, it describes who you both are and what you enjoy. But a blog name is just like book cover, it’s the content that counts, and yours never fails to disappoint. You are both very articulate, and it’s a pleasure to read your blog. Plus, you are not only telling the world your story to whomever chooses to listen, but you also teach without preaching and without judgment. To this Baby Boomer, who’s playing catch-up, I’m quite honored and humbled to learn so much from two young people who have it so together, know what they want in life, and know how to make it happen. I’m also truly impressed with your article on privilege, and it opened my eyes wider than I had ever thought possible, and I now apply all of that knowledge to my own life. Who says you can’t teach an old dog new tricks!! Oh wow–thank you, bev! I’m truly honored. I really do believe we’re all on our own unique journey and that it’s not my place to judge anyone. I appreciate you reading and I’m thankful for your incredibly kind comment! I’m so glad you chose to write! I love your writing style and your perspective. As the most frugal person I know, I thought I’d reached my peak of frugalness. But then you challenged everything and I realized I was not alone and I could get a lot more frugal! You are a frugal inspiration! Here’s to year 2! I find it adorable that he frugal-conned you into starting a blog. He spent the $6! You had to do it. That’s like 15 lunches! He totally frugal-conned me!! (that’s a great phrase, btw). Thank you so much for reading and for being such a great frugal buddy! Wow, I recently started reading your blog & had no idea it’s only a year old. What a success. It’s great that you’re having fun writing. I like that you write about why you’re frugal, the unexpected benefits of it, and how fun it is. Sometimes the how-to posts out there get boring but your angle is always interesting and inspiring. Thank you so much, Kalie! That’s very kind of you to say! I’m so glad to hear you’ve enjoyed reading :). I really do have a wonderful time writing! Congratulations!! Although I’m not quite as much of a frugal weirdo as you and Mr. FW, I love reading your posts and have learned a lot from them. And now that it’s become a part of my life, I cannot imagine a future without adorable greyhound photos! I’m so looking forward to watching your FrugalWoods home become a reality. Thank you, Amy! So glad to hear I’ve pulled you over to the greyhound side :). And, I’m looking forward to the homestead becoming a reality too! I love your dog’s blank stare! Happy Blogiversary! Oh yeah, that’s the Frugal Hound special :)! Oh, ps. I just read a wonderful book that I thought you might like or may have already read. It’s titled “The Handmade Life” by Wm. Coperthwaite. It’s a good read. Your blog is one of my favorites. Look forward to more posts about your frugal path. 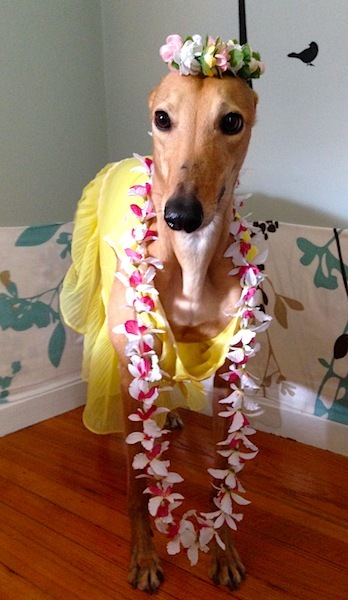 Here’s what I learned: Frugal Hound is SUCH a team player and clearly the coolest dog around. Why thank you! I really appreciate that! I’m honored. And, I’m really glad Mr. FW pushed me into it too ;). Congrats on hitting the year mark and very cool what Mr. FW did to encourage you to pursue it. 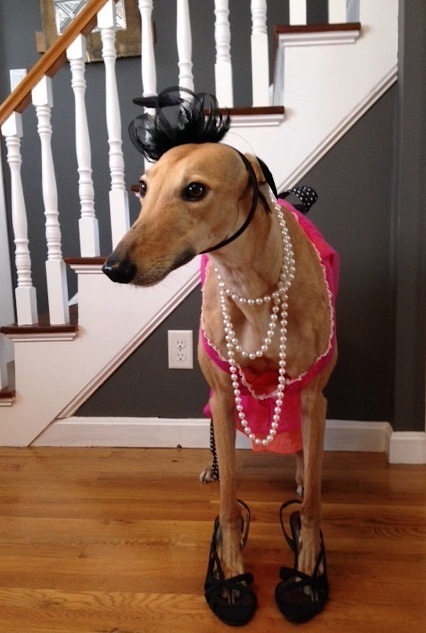 Thanks for the round up of favorite pics of Frugal Hound – they’re awesome! Many thanks, John! I’m glad I listened to Mr. FW on this one–he’s a smart guy. Congrats on your first year. Can’t wait to see what is in store for this next year! Congratulations on your 1 year anniversary – what an awesome milestone! I’m so glad that Mr. FW pushed to start the blog, I am grateful for all that you have to share on this space 🙂 You are a wonderful example of how to set an enormous goal and actually go about achieving it. I love all of those quotes, but this one if my favorite: “In the end, the only person who truly cares how you lived your life is you.”. So much truth! Happy blogiversary!!! It’s crazy but tomorrow it’s my blogiversary as well! We’re like twins, except for the fact that you are more dedicated to the cause than I am. But that’s okay, I have somebody to look up to. Congratulations. Happy blogiversary to you too! And, you’re far too kind! Happy blog anniversary! My mom reads my blog, too :-). Thank you! I think it’s so sweet that your mom reads your blog! I appreciate it so much that Mr. FW and my parents read ours–means a lot to me. Thank you for sharing. It gives me hope that one day I will be able to be frugal by choice. I know that I am sacrificing now so that my husband can complete his degree and once this is complete our income potential will increase. Yay for hope! Hope is definitely a wonderful thing to have! I think it’s great you and your husband are working together for a better future. Best of luck to you! Frugalwoods has done so well in just one short year! I’m thinking you could give blog lessons! Congrats on one year! Thank you so much! Pretty sure my blog lesson would be: include lots of dog photos!!!! I love this blog!! I can’t wait to read more and wishing you continued success. Happy Blog Anniversary! 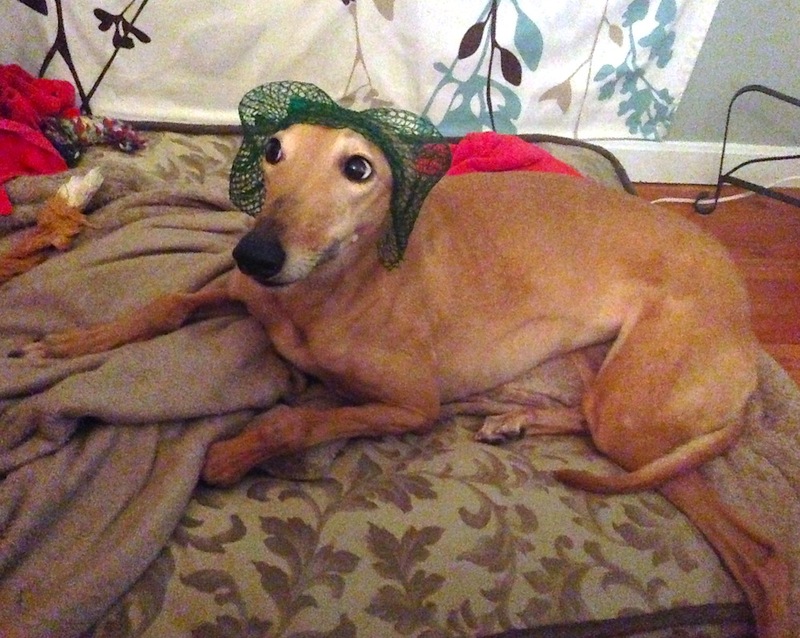 My favorite picture of Frugal Hound is the avocado bag that somehow mimics a bonnet a la Little House on The Prairie. That’s pretty much how I jumped into blogging. Kind of a spur of the moment thing. I think my domain was $9 though. 🙂 And I have a spreadsheet full of names too. Walletwalrus! HAH! Love it. That’s a great list there, but uh, I think you chose the best name! This is great I wonder if I still have my list kicking around. Congrats on the one year and ll the blogging success! Looking forward to much more Frugalwoods and especially that Frugalhound. Every time I see a hound somewhere I want to tell you about it. Lol. Thank you! I always love hearing about other greyhounds :)! Happy anniversary! I’m so happy to have found this blog- I’ve learned a lot and enjoyed it so much! It’s wonderufl you have a new passion in your life, as well as a passion for the direction your life is now going. I’d love to see more about your investing style: tips, how often you invest, how you choose where to put your money. Please tell me one of the names on the spreadsheet was One Guy, One Gal, and a Greyhound, ok maybe not that great, but any other catchy ones out there on the list? I only WISH that had been one of the options :)! Happy blogiversary, you guys! May there be many more frugal musings and pictures of dressed-up Frugal Hound in your future! Congratulations on one fabulous year! Know that through your blog you have inspired and touched people around the world, including us at TSR. We look forward to reading how your adventures continue! Happy blogiversary Mr and Mrs Frugalwoods and Frugal Hound! Love reading all the frugality posts that you’re writing. Happy blog cake day, how exciting! I have to admit, as a fellow sparkling water fiend, your How To: Cheap Homemade Seltzer with a Modified Sodastream is one of my ABSOLUTE FAVORITES. It encompasses frugality perfectly…taking something you love and finding a fun solution to bring the cost down to a reasonable level, I almost feel guilty about drinking this large Pellegrino right now. Almost. Haha, thanks! Glad to hear you liked the post! You should set one up for yourself–it’s awesome to be able to drink all the super cheap seltzer we want! Happy blogoversary! Very glad to have connected with you guys last year. Many thanks! That’s wonderful that you and your husband have such a great system worked out. Makes all the difference for a happy marriage, I think :)! Wow! Didn’t realize your blog was so young. Congrats on your one-year milestone! Can’t remember if I found your blog through jlcollinsnh or MMM – just followed one of your comments back to your blog, and been enjoying it ever since. Keep up the good work! Found your well post very timely, as we have just signed a contract on our dream property, which has a well. One year only, wow, may there be many more to come! You guys have definitely outdone yourselves. Thank you so much! You’re making me blush :)! Wow I didn’t realize was blog was only a year old! Your blog seems so well established that I assumed it had been around for much longer. Congrats! I really enjoy your blog and I’m sure that will continue =). 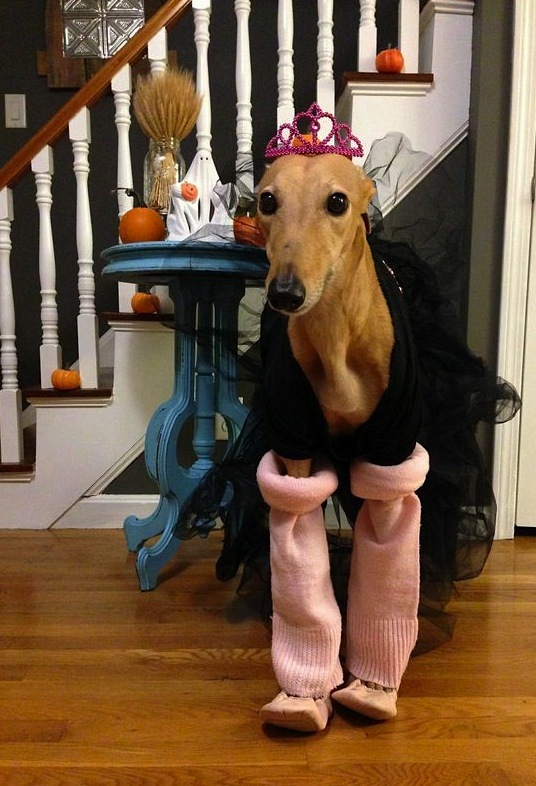 Love the frugal hound photos and the pet interviews. Had to share the photos with my husband. He said anytime frugal hound gets tired of dressing up he is welcome to move in with us. Can’t believe that the blog is so young. 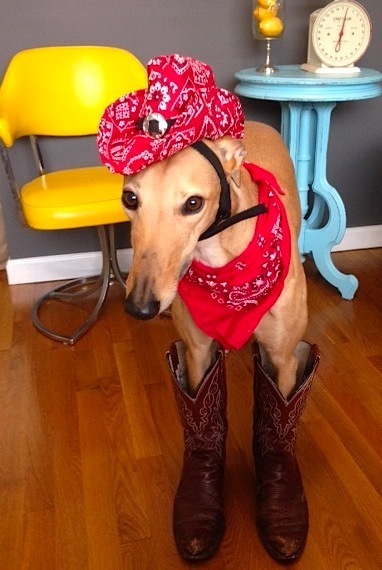 Glad to hear you’re a Frugal Hound fan :)! Though I don’t think we’ll be giving her up anytime soon… ;). Thank you for reading! I would love to see an article on how frugal isn’t just about money but good for the environment. Everyone knows me as frugal but it first began for me as a way to cut back on waste and garbage. I love how you promote frugality as not about denying yourself. I always thought if I had millions of dollars and could buy anything I wanted I would lose my creativity and my bonds. My best gifts were when I had no money and had to give what I could make or come up with. Not having to work hard and put off the gratification of buying something would make it seem almost worthless. I haven’t had the nerve yet to write the article on why I wouldn’t want to be a millionaire because I don’t think anyone would believe me. Yay! Happy Blogiversary! We love your blog and can’t wait to see what another year brings. Congrats on all your successes and keep doing what you’re doing! Thank you so much! You’re too kind! Happy Blogoversary. I am looking forward to more pet interviews, trash finds, and frugal weirdness! Yay trash finds and pet interviews :)! Thank you, Kim! Congrats on Year One! You’ve been doing an amazing job and inspired me to live more frugally. Love your writing and I always have a laugh with your posts. Congratulations on an extremely successful year – probably the most success in one year that I’ve seen from any blog ever. So cool and so awesome! Awww, thank you Cat! You’re seriously making me blush over here! You’re far too kind! Thanks for the laughs with all the pics of your wonderful patient dog! Congrats on making in through your first year! I celebrate my 1st blog-versiary in 2 days, so we started at the same time! Yay! Happy anniversary to you too! My partner and I have been talking more and more about budgeting, mutual financial goals, growing up, ect ect. I actually enjoy the talks, and the changes we’ve made, but one area where he could not peak my interest was the “financial tips books”. He borrows them from the library like they are going out of style, but they just are not quite my thing. Then he sent me a link to your blog. That’s all it took! Blogs are my love language and now I’m relaying your stories to him multiple times a week. Thank you!! Oh that’s so awesome to hear! I can’t tell you how happy that makes me! I’m honored to be part of your financial journey :). Thanks for reading! We are nearing ours! It’s amazing how quickly things change in a year. Congrats!! Happy anniversary to you too :)! Thank you so much :)! Congrats on the anniversary (or birthday)!! I didn’t realize you had only been posting for a year, I think you have it down pretty good. It only took me reading one post to understand the Frugalwoods name. In my head, your last name is actually Frugalwoods. I kinda wish our last name really WAS Frugalwoods :). Thank you for reading! Happy anniversary! Just wanted to let you know how much I enjoy your posts, topics, and (most of all) the Frugal Hound. I was drawn to your blog by a line that I read somewhere that you saved most of your income and only lived on a tiny percentage of it. I was floored. I pointed it out to my husband and said, “Do you know how much money we would have if WE did that?” Needless to say, it was the epiphany that I much needed. In my 40s, I can now envision my life in a totally different way: ample retirement, debt-free, and funding my grandchildren’s college fund. Way to go, Frugalwoods….your blog has made a remarkable difference to this fan. Hugs and warmest regards!~~t. That’s so wonderful to hear, Teresa! I’m so excited for you and your awesome financial plans! Thank you for reading and for sharing your experience here–it’s a true honor to hear :)! I just discovered your blog recently and am impressed and inspired by your journey! We live a fairly frugal life (no cable, no fancy cell phones or gadgets, no debt other than our mortgage, etc) but struggle to save much money (I think mainly because of our low income and organic diet)! Suffice to say that we’re in the baby steps of our frugal journey and hope to move forward in leaps and bounds. In future posts, I’d love to read about frugal pet ownership (I haven’t read all your past posts, so you may have covered this and I haven’t gotten to it yet) and more about frugal dates with your spouse, cheap meals, and being frugal while also being generous with gifts. Best of luck to you on your journey to early retirement. We’re rooting for you! Hi Sarah! Thank you so much for reading Frugalwoods–we’re so glad you found us :). On pets: Frugal Hound Costs $930.35 Annually and I’m Frugal, Should I Get A Pet? And I talk about frugal gift giving in the Holidays category. I hope this is helpful and don’t hesitate to ask any other questions! No need to hide it–embrace it :)! Thanks so much for reading! Mrs Frugalwoods, I love your blog, it’s my morning routine, I put the kettle on for the first cup of tea of the day, and then with baited breath I click the keys on the laptop and see what you have sent me overnight. (I live at the bottom of the world in Australia – hanging upside down to everybody else living at the ‘top of the world’) Please – no pressure intended! If I wake up to a clear in-box on the computer means I have time to re-read past blog posts. Thank goodness that Mr Frugalwoods spent that $6 !!!! !